Russia's Federal Security Service has detained an opposition-minded journalist in Crimea, a colleague said, in the latest in a series of Moscow's investigations against Crimean reporters and writers who have criticized Moscow's annexation of the peninsula. Agents from the security service, or FSB, searched journalist Tatyana Guchakova's apartment in Yalta for nearly 10 hours Thursday and seized "all computer technology she had at home," before detaining her, the chief editor of BlackSeaNews portal and Guchakova's former boss, Andriy Klymenko, said via Facebook. Guchakova co-founded BlackSeaNews along with Klymenko and worked as his deputy until the news portal relocated its editorial offices to Kiev following Moscow's annexation of Crimea last spring, the chief editor said. Russia's law enforcement agencies declined to comment immediately on the case, Russia's Moskovsky Komsomolets daily reported. The head of the Maidan of Foreign Affairs Foundation, Bohdan Yaremenko — an ally of Klymenko — called Guchakova's detention "one more example of the mean-spirited and illegal fight by Russia's occupation authorities in Crimea with any (expressions of) dissent," RFE/RL's Crimean news services reported. 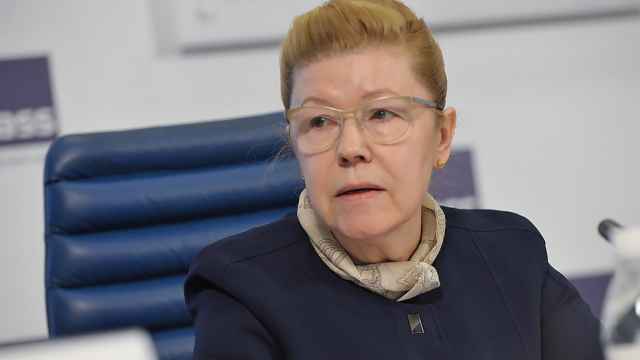 Guchakova's detention comes on the heels of an FSB case against the local news portal Center for Investigative Reporting. 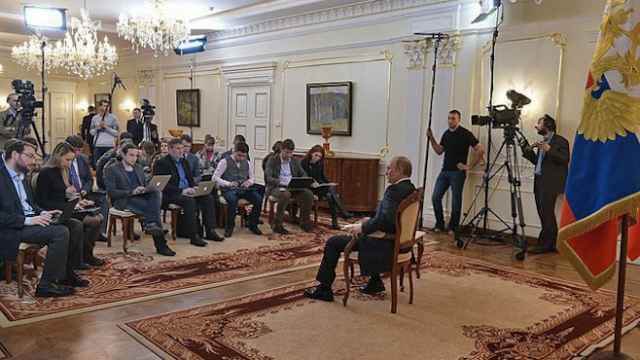 FSB searched the apartments of the news portal's journalists last month as part of an investigation on charges of "appeals for actions aimed at violating the territorial integrity of the Russian Federation," Grani.ru reported. The case stemmed from an article published by the news portal late last year about the Krym (Crimea) battalion fighting alongside Ukrainian government forces against Moscow-backed separatists in eastern Ukraine, the report said. A Center for Investigative Reporting journalist, Natalya Kokorina, was detained last month after FSB agents conducted a search of her parents' apartment, according to news reports. 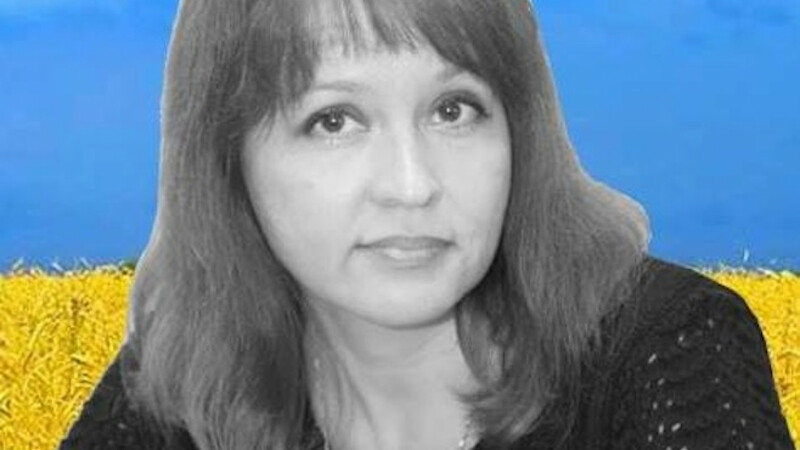 On Wednesday, the FSB branch in Crimea's regional capital Simferopol questioned another journalist, Anna Shaidurova, as part of the investigation, Russia's Novaya Gazeta reported. Russia's media watchdog Roskomnadzor this month also forced off the air the only Crimean Tatar-language television channel, ATR, which had been operating under Ukrainian law since 2006. The watchdog agency rejected ATR's attempts to register as a broadcaster under Russian jurisdiction. After Ukraine and the U.S. criticized the denial of a Russian broadcasting license to ATR channel, Russian Foreign Minister Sergei Lavrov said that Crimean Tatars enjoy more rights under Russian rule than they did when the peninsula was part of Ukraine. 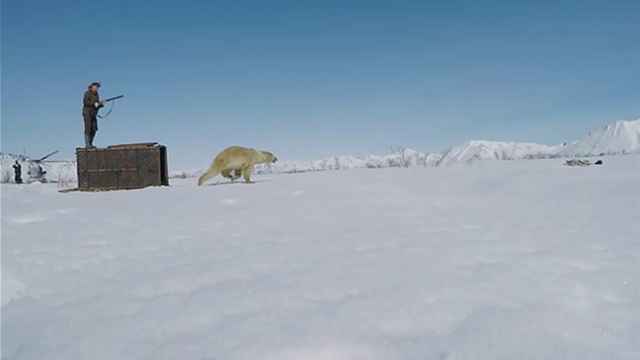 The bear washed up on an ice floe 700 kilometers south of its natural habitat, where it had "no chance" of survival. 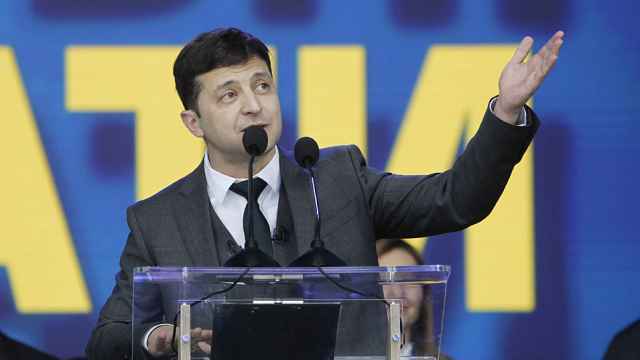 What does Ukraine's new president think of Russia?